One of the things that I love most about celebrating Passover with my husband’s family is the food (surprise, surprise). It is delicious, of course, but what I find truly meaningful is that there are dishes on that table that come from recipes that have been passed down for generations. These recipes have moved with his family across oceans and continents. They have stories. They evoke memories. They are part of the family. 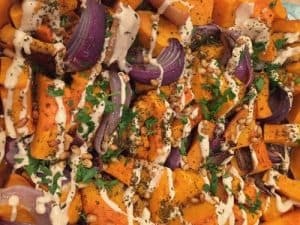 These are recipes that are not thought of in terms of whether or not they are healthy; they are just savored, enjoyed, and celebrated as special dishes to be enjoyed on these sacred nights. I love watching my father-in-law take his first bite each year—you can almost see him being transported back to his mother’s Seder table. I love that each year these dishes elicit stories of people who have passed and memories of other Seders. 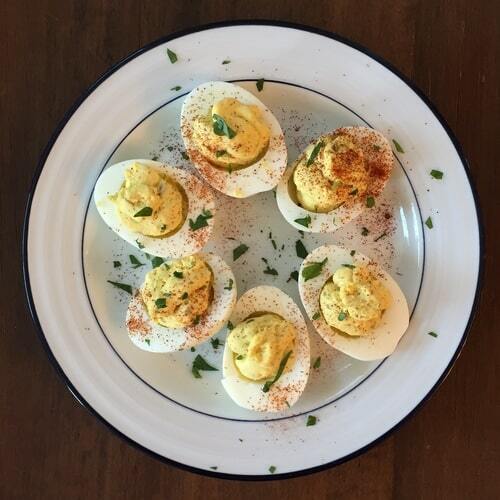 Growing up in my family, Easter didn’t have those same year-after-year recipes, but we did always gather with my extended family for a big meal and my mom always made something really special. One year, it was a croquembouche (a French dessert built out of custard-filled cream puffs and held together with hardened caramel) that she built to resemble a lamb! For me, these meals are a powerful reminder of what food is really about — connection, stories, and tradition. 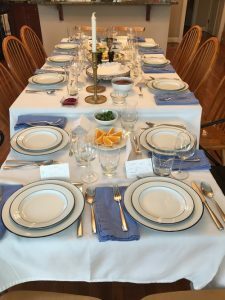 While not every meal can be as special as these holiday meals — whether you celebrate Passover, Easter, Ramadan with the iftar, or any other holiday — all meals can bring us to together, elicit reactions (hopefully good, but sometimes not), and provide a space to share stories, hopes, and dreams. Do you have food traditions for special occasions that bring you joy or go back generations? I’d love to hear about them in the comments! And if you’d like your regular family meals to become a meaningful and less stressful experience, try a two-week free trial of our meal planning service.